I bow to the Son of the Wind, a fire to consume the forest of evil doers, destroyer of the darkness of ignorance, in whose heart resides Sri Ram, the bearer of a bow and arrows. I bow to the Son of the Wind, the abode of immeasurable strength, possessing a body shining like a mountain of gold, a fire to consume the forest of the demon race, the foremost among the wise, the abode of all virtues, the chief of the monkeys, and the most beloved devotee of Sri Ram. I worship Hanuman, who made the great ocean resemble the furrow of a cow's hoof, who killed giant demons as if they were mosquitoes, and who is like a gem among the beads of the rosary called ”Ramayana”. 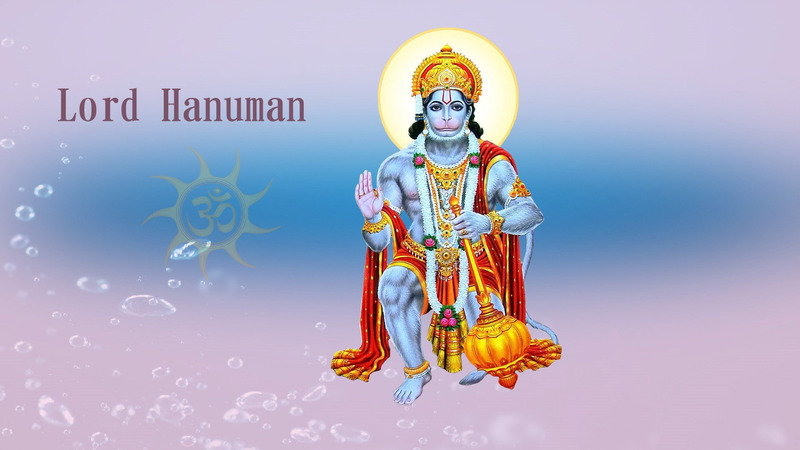 I worship Hanuman, the brave son of Anjani, the dispeller of Janaki’s [Sita’s] grief, the Lord of the monkeys, slayer of Aksha Kumar [Ravana’s son], and the terrorizer of Lanka. I offer homage to Anjani’s son, who leapt easily over the ocean’s waters and took the fire of Janaka’s daughter 's grief and with it burnt Lanka. I take refuge at the feet of Hanuman who is as fast as the mind and the wind, who has conquered the senses, who is the most exalted among the wise ones, the Son of the Wind, the chief of the monkeys and messenger of Sri Ram. I meditate upon Hanuman, with ruddy face and a body that glows like a mountain of gold, who can bestow all boons and fulfill all desires, and who resides under the Parijata tree. I bow to Hanuman who goes wherever Ram’s name is chanted, bowing in reverence eyes filled with tears of love, head bent in adoration, who is known as the slayer of demons.